Nova Scotia Power building in Halifax. For more than 100 years, Canadian electricity companies had a very simple mandate: provide reliable, safe power to all. Keep the lights on, as some would say. And they did just that. Today, however, they are expected to also provide a broad range of energy services through a data-driven, customer-centric system operations platform that can manage, among other things, responsive loads, electric vehicles, storage devices and solar generation. All the while meeting environmental and social sustainability — and delivering on affordability. That’s why this new mandate requires an ironclad commitment to innovation excellence. Not simply replacing “like with like,” or to make incremental progress, but to fundamentally reimagine our electricity system and how Canadians relate to it. Our innovators in the electricity sector are stepping up to the plate and coming up with ingenious ideas, thanks to an annual investment of some $20 billion. But they are presented with a dilemma. Although Canada enjoys among the cleanest, most reliable electricity in the world, we have seen a sharp spike in its politicization. Electricity rates have become the rage and a top-of-mind issue for many Canadians. Ontario’s election reflects that passion. This heightened attention places greater pressure on provincial governments, who regulate prices. In turn, they delegate down to the actual regulators where, at their public hearings, the overwhelming and almost exclusive objective becomes: Keeping costs down. Consequently, innovation pilot applications by Canadian electricity companies are routinely rejected by regulators, all in the name of cost constraints. Clearly, electricity companies must be frugal and keep rates as low as possible. No one likes paying more for their electricity. Homeowners don’t like it and neither do businesses. Ironically, our rates are actually among the lowest in the world. But the mission of our political leaders should not be a race to the basement suite of prices. Nor should cheap gimmicks masquerade as serious policy solutions. Not if we are to be responsible to future generations. We must therefore avoid, at all costs, building on the cheap. Without constant innovation, reliability will suffer, especially as we battle more extreme weather events. In addition, we will not meet the future climate and clean energy targets that all governments have set and continuously talk about. It is therefore incumbent upon our governments to spur a dynamic culture of innovation. And they must sync this with their regulators. This year’s federal budget failed to build on the 2017 investments. One-time public-sector funding mechanisms are not enough. Investments must be sustained for the long haul. To help promote and celebrate what happens when innovation is empowered by utilities, the Canadian Electricity Association has launched Canada’s first Centre of Excellence on electricity. The centre showcases cutting-edge development in how electricity is produced, delivered and consumed. Moreover, it highlights the economic, social and environmental benefits for Canadians. 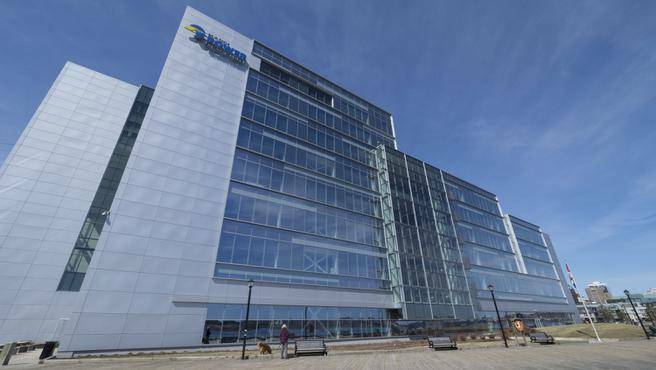 One of the innovations celebrated by the centre was developed by Nova Scotia’s own NS Power. The company has been recognized for its groundbreaking Intelligent Feeder Project that generates power through a combination of a wind farm, a substation, and nearly a dozen Tesla batteries. Political leaders must, of course, respond to the emotions and needs of their electors. But they must also lead. That’s why ongoing long-term investments must be embedded in the policies of federal, provincial and territorial governments, and their respective regulatory systems. And Canada’s private sector cannot just point the finger to governments. They, too, must deliver, by incorporating meaningful innovation strategies into their corporate cultures and vision. That’s the straightforward innovation challenge, as it is for the debate over rates. But it also represents a generational opportunity, because if we get innovation right we will build that better, greener future that Canadians aspire to. Sergio Marchi is president and CEO of the Canadian Electricity Association. He is a former Member of Parliament, cabinet minister, and Canadian Ambassador to the World Trade Organization and United Nations in Geneva.